A fertile land between the Tigris and Euphrates rivers. Led by powerful leaders, kingdoms and dynasties developed here around 3000 BC. Attacks and coups by neighboring kingdoms are the order of the day. But he who plans well will become the stuff of legend. Haven’t we heard this before? Absolutely, but not in this form. 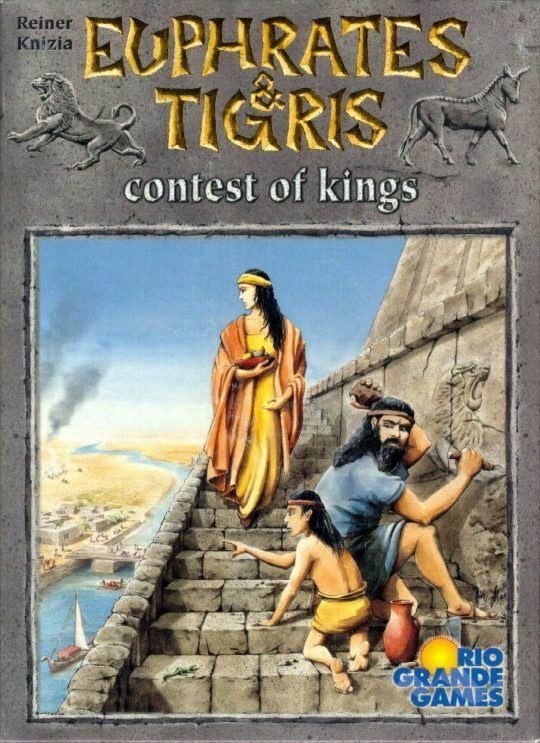 Because now, the ‘card game conversion’ trend among board games has reached Reiner Knizia’s classic game Euphrat & Tigris (Tigris and Euphrates). As Euphrates & Tigris: Contest of Kings, it will offer simpler and faster play, but will still be nicely outfitted with about 200 cards and 16 printed wooden discs.